They called him “The Schoolboy,” because he had once attended university, a rare thing among professional prizefighters. 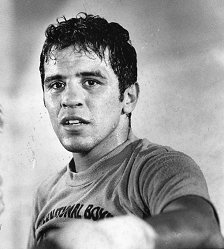 But make no mistake, despite the nickname and the ever-present boyish smile, Bobby Chacon was as tough and as game as they come. And this was fortunate because it would require uncommon toughness and a genuine passion for struggle and combat to endure the pain of Bobby Chacon’s life. 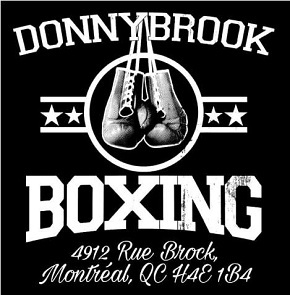 Bobby had a reputation for being an exceptional street fighter and Valorie encouraged him to try boxing. 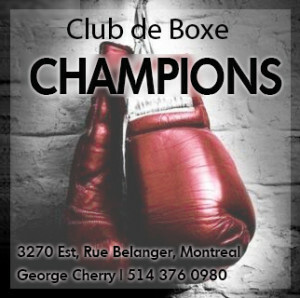 They would watch the fights on TV and it was Valorie who said, “You can do that.” She even paid for his first boxing license. By 1971 they were married and the next year Chacon turned pro. The career of Bobby Chacon was a roller coaster, amazing highs followed by agonizing lows. 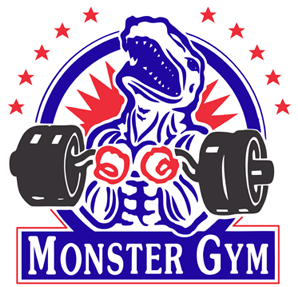 He tore up the featherweight ranks, knocking off one contender after another and quickly became a sensation in the Southern California boxing scene. 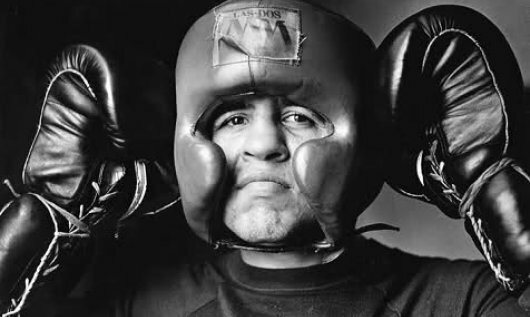 Then they matched him up with Ruben Olivares and “El Púas” taught “The Schoolboy” a harsh lesson, Chacon’s corner stopping the fight after nine violent rounds. But the following year Chacon won his first world title, which he successfully defended once before losing, again to Olivares. And so it went. Chacon would put together a string of wins only to lose to Olivares. Or Alexis Arguello. Or his arch-nemesis, Mexico’s Rafael “Bazooka” Limon. But even the wins could be painful. 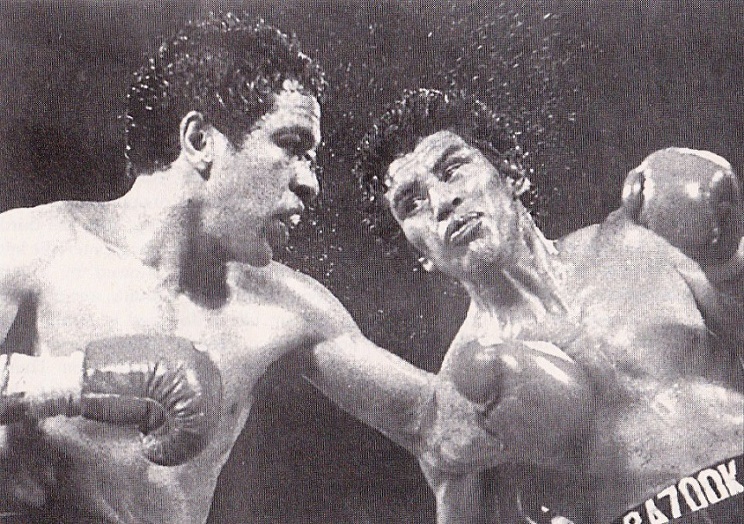 In 1976, Chacon took a ten round decision over a Mexican club-fighter with 14 losses on his record named David Sotelo. Floored twice and nearly knocked out, Chacon was fortunate to get the decision. In his dressing room afterwards, as the doctor worked to stitch up Bobby’s face, his high-school sweetheart and the mother of his children begged him through tears to retire. Valorie had helped get Chacon into boxing but now she couldn’t get him out and the guilt and the fear were taking their toll. By this time they had three children and she wanted the family to move to Hawaii for a fresh start. But Bobby had been a champion for a short while, had a taste of what it was like to get to the top of that mountain. He needed to taste it again. Bobby going down to the great Olivares. 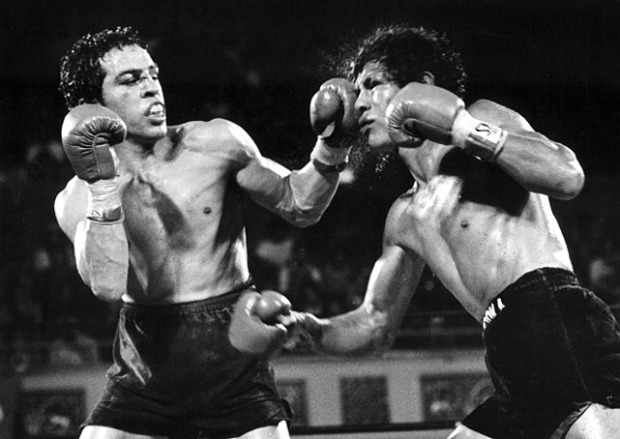 In March of 1980, Chacon and the southpaw Limon locked up for a third time and, like their first two clashes, this was another vicious brawl. Restless and worried and wanting to avoid even thinking about the fight, Valorie decided to spend the evening with friends in a local bar but she hadn’t counted on the late-night TV newscast. “First the loser,” boomed the television and “Bazooka” Limon’s relatively unmarked face appeared. “And now, believe it or not, the winner!” And there was Bobby with cuts above both eyes and dark welts under. But Bobby didn’t. And now neither did the arguments, the constant bickering and pleading, the promises and bargaining. Chacon would say all the right things to placate Valorie, but then he’d be in training for another match. He was in his mid-20s and for him, the die was cast: he was a fighter. He got another title shot, lost another tough battle, but felt more certain than ever he could do it, that if he just kept working and fighting, he would make it to the top again. Chacon and Limon battle in their third meeting. But by February of 1982 Valorie had reached the breaking point. The family lived in Palermo now and Bobby was in Sacramento for his next bout when Valorie told the kids she was taking a nap. In the bedroom she swallowed a handful of sleeping pills but they found her in time and got her to the hospital. Bobby won that night and Valorie soon recovered, but then she disappeared for a month. The stress and fear were too much; she was cracking up. They found her wandering around the airport in Sacramento talking to strangers about guns. Just a few days later Chacon left home for his next bout, another shot at a championship on the horizon if he kept winning. He and Valorie argued on the phone and then the next day came the call, not from Valorie but from her mother. Valorie was gone. After kissing the framed pictures of her sleeping children, she had went into her bedroom with the .22 rifle they kept in the house for protection, put the barrel to her head and pulled the trigger. That night Chacon drove back to Palermo to help his family make funeral arrangements. But 24 hours later he was in Sacramento, scoring a third round TKO over a journeyman named Salvador Ugalde. Immediately after, he dedicated the win to Valorie. Behind the smile, an ocean of pain. This is the tragic backdrop for one of the greatest fights in boxing history. Chacon and Rafael Limon did not like each other. 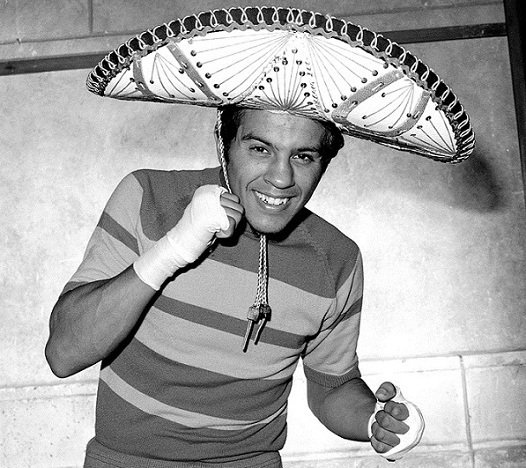 Limon, a native of Mexico City, saw Bobby as a typical “pretty boy,” a pampered California boxer, lacking in manhood, while “The Schoolboy” regarded “Bazooka” an an arrogant prick. Their first three fights had been rough and nasty and the fourth promised to be no different, except in one regard: this time it was for the WBC super-featherweight title that Limon had won earlier that year. Held in Sacramento and broadcast live on national television, Chacon fans packed the auditorium, everyone hoping Bobby might redeem the years of pain and sacrifice by finally winning a second world title. From the opening bell, the two men fought with startling ferocity and little regard for self-protection. Limon attacked from the outset, landing wide, looping shots and forcing Chacon to give ground. He took the first round and midway through round two he had Bobby in the corner, working him over with both hands before Chacon abruptly charged forward and fought his way out, landing a series of hard rights as the crowd erupted. Yes, it was going to be another war. A left hand put Chacon down in round three and the two warriors took turns going back and forth through the middle rounds, both men battling with savage intensity. More and more it became a contest between the two fighters’ power hands, Chacon’s lead right vs the southpaw Limon’s overhand left. Chacon came on strong in rounds eight and nine, but a huge counter left put the challenger down again in round ten. The pace never slackened; every round was deadly close, and in almost every round both men were rocked. Chacon bled from a deep cut on the bridge of his nose but appeared to win more rounds, though the two knockdowns couldn’t be discounted. As if to emphasize the closeness of the struggle, in the thirteenth they managed to stagger each other during the same exchange, Limon landing the big left, Chacon the right. By the fourteenth, Limon’s legs were gone and he clung to Chacon like a drowning man in rough water while Bobby, desperate and driven, surged forward, fighting with the urgency of someone whose very life was on the line. And in the final round, with the crowd on its feet and roaring, Chacon finally found what he had been searching for. 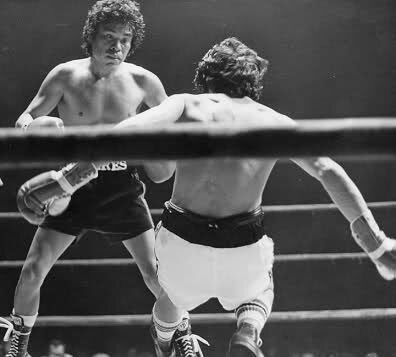 With fewer than fifteen seconds left, he landed two heavy right hands that sent “Bazooka” to the canvas, Chacon leaping to the ropes over the fallen Limon and letting out a wild bellow of triumph. Seconds later the final bell rang. It was like something out of a movie. Minutes later, the judges’ decision was announced and Bobby Chacon was a champion again, winner of an amazingly dramatic and action-packed war by close decision. If he had not floored Limon in the final seconds, the bout would have been scored a draw. At ringside, veteran boxing writer Jack Fiske, who had covered the sport for more than four decades, called it possibly the greatest fight he had ever seen. Afterwards, an emotional Bobby dedicated the win to Valorie. Great article, about such a heart-wrenching story. Wonderful tribute to one of the most under-appreciated fighting men of the last 50 years. 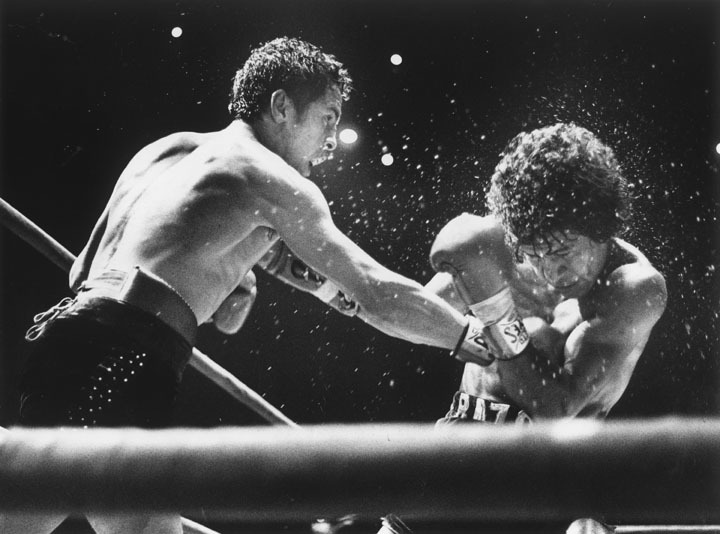 Chacon was all heart, you had to nail him to the floor, and the fourth fight with Bazooka is one of my all-time favourites. Sad to hear of his passing. The Southern California boxing scene was such a hotbed in the late 70s and early 80s. RIP, champ.